This is one of the best arb betting opportunity I ever had in Cricket. 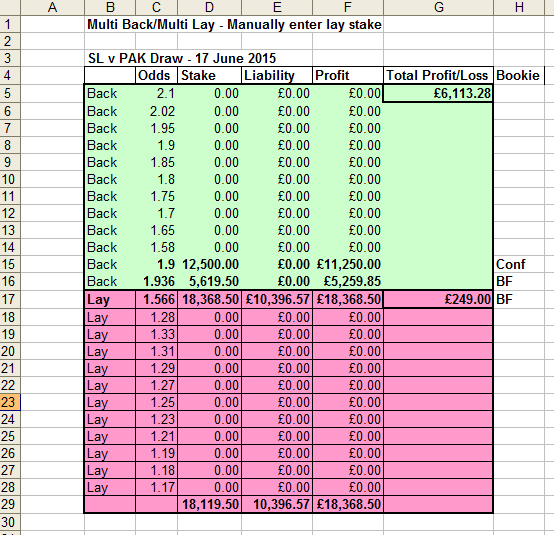 As you can see from my spreadsheet calculation I’m already in over £6k profit and match hasn’t even started. I’ll make this profit regardless of match result provided it’s not abandoned. And it’s not only me who made profit. On Betting Adda website I revealed this secret to all premium members. I even tweeted about it. Irony is that very few punters shown interest in world’s easiest way to make money opportunity. What can I say, losers will be always losers.